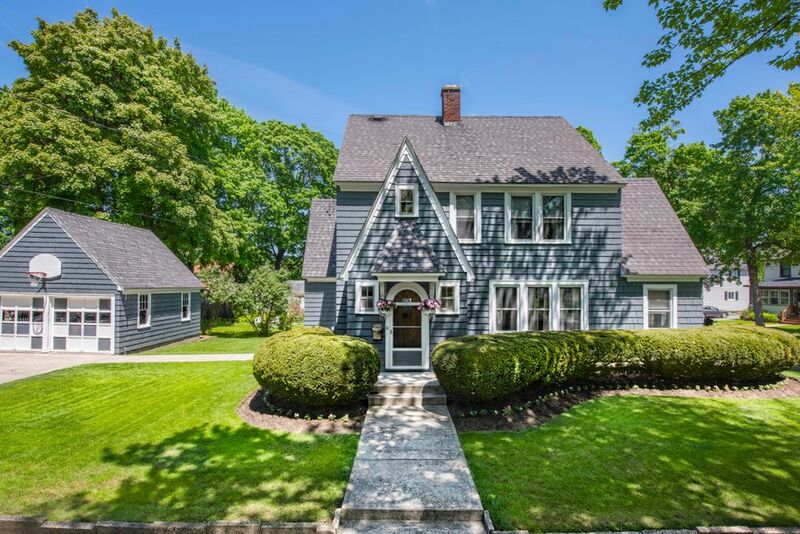 Enchanting archced front doorway invites you into this meticulous and beautifully appointed colonial style home set in the desirable southeast section. Spacious living room, generous dining and cozy den. Four bedrooms and a full bath then up to the full finished attic space. Workspace in basement and gentleman's toilet. Two car garage, expansive concrete drive doubles as a patio and play space. Come home to pristine and pretty every day.